Got plans for this weekend? Well, cancel 'em. Have I got a party for you! 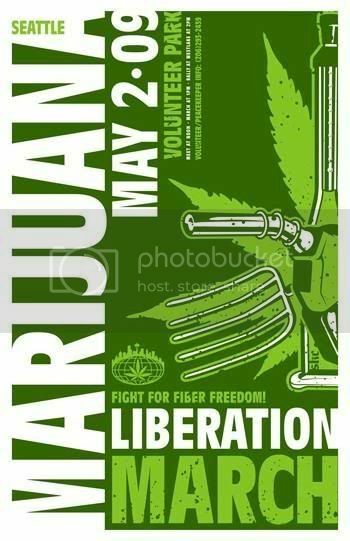 It's time, once again, for the Global Marijuana March, a worldwide event held the first Saturday in May since 2005. I'll be there, and so should you! Sure, mainstream media might give you the impression that grassroots (see what I did there?) street activism of the sort represented by the Marijuana March is a thing of the past. But the marijuana legalization movement is stronger than ever. A solid majority of people on the West Coast now support removing all criminal penalties for the herb, and cannabis activists have momentum on our side according to almost any knowledgeable observer of the scene. If you've ever attended a pot rally, I don't have to tell you what a positive rush such a gathering of the kind tribes can bring. There's nothing like a group of like-minded hempsters united by a common purpose to put a smile on your face, a song in your heart, and a buzz in your brain. If this will be your first time, don't worry -- you won't find a gentler, friendlier, more mellow crowd anywhere. Join us while we march and rally for equality and justice for cannabis supporters and medical marijuana patients everywhere. We will meet at noon at Volunteer Park in the Capitol Hill neighborhood in Seattle. We will have a volunteer peace-keeper meeting at 11:15 at the left side of the amphitheater. We will march at 1 pm and arrive at Westlake Center at around 2 pm for a rally with guest speakers and musical performance. This march is in solidarity with coordinated marches in over 300 cities world wide. 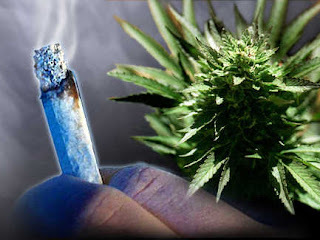 Marijuana is non-toxic, not physically addictive, therapeutic, cost effective, and beneficial for society when the criminality is removed (and abuse is dealt with as a public health issue). Medical patients should have access to safe, pure, affordable medicine. Nobody should be imprisoned over cannabis. Medical marijuana dispensary operator Charles Lynch, 47, is facing a government-recommended five years in federal prison -- even though he meticulously followed state and local laws. Under federal law, Lynch could receive up to 100 years. At a hearing Thursday, the judge in the case indicated a decision on sentencing will be delayed until June 11. To celebrate our national holiday, 4/20, my friend, film director John Holowach is staging a free online screening all day, Monday, April 20, of his great documentary, "HIGH: The True Tale of American Marijuana." As we celebrate the marijuana holiday in an appropriate fashion, let's not forget the many victims of the Drug War. In a recent town hall meeting, President Obama, when asked about the legalization of marijuana, nervously laughed and briefly dismissed the idea, which had been advanced as a way to help pull out of our current economic doldrums. In doing so, the President was following conventional wisdom when it comes to marijuana -- that to openly support reform or repeal of harsh anti-pot laws is tantamount to political suicide. The President's nervousness around this touchy issue -- particularly in view of his admitted youthful marijuana use -- is completely understandable. But I don't think it's news to anyone that the political landscape is changing, and changing rapidly. Especially when it comes to marijuana, there is a huge shift underway in public perception of the herb -- one that will eventually and inevitably result in legalization. We are nearing that tipping point. 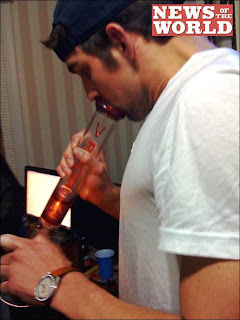 The marijuana community united in support of Phelps when he was unceremoniously dumped by corporate sponsor Kellogg's, and beyond that, a lot of people who hadn't given much thought to marijuana suddenly were wondering, "Hmm... If pot is really so bad, then how did Michael Phelps win all those gold medals?" But there's a lot more to the story than that. The issue of marijuana law reform deserves serious consideration, because it has a big impact on both individual lives and families, and on law enforcement priorities and budgets, along with overcrowded jails and prisons. I've seen the idea batted around that perhaps the President is biding his time. According to this line of thought, "controversial" things like marijuana reform will have to wait until Obama's presumed second term, when American presidents have traditionally dealt with issues that otherwise might have come back to haunt them when they ran for re-election. I think of myself as a patient man, but there's more to this scenario than patiently waiting for politicians to lead. Most important is the fact that, contrary to what many believe, lots of people are still being busted for pot. In 2007, more than 872,000(!) people were arrested for marijuana -- an all-time high. The vast majority of those cases -- 775,000 -- were for simple possession. If we're supposed to wait four more years for marijuana law reform, that means, at current rates, almost 3.5 million more Americans will have been arrested for marijuana before anything changes. More than 3 million of those arrests will have been for possession alone. That's just unacceptable. Opponents of the war on marijuana -- or the "marijuana vote," if you will -- voted overwhelmingly for Obama in last November's election. While most of us are under no illusion that we'll receive any special treatment, what we do ask is to at least be taken seriously. 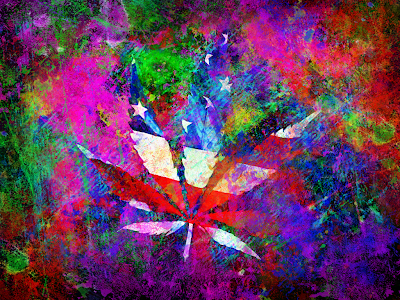 We believe that the issues of privacy, the erosion of civil liberties, jail and prison overcrowding, and civil forfeiture are crucially serious -- and the war on marijuana and its users directly and hugely impacts all of these concerns. But while all of these issues are serious to any caring, informed citizen, none of them has the immediate and visceral impact of the most important issue of all: We believe it is wrong to jail people for using marijuana. Period. The punishment just doesn't fit the supposed "crime." The United States already has a higher proportion of its population behind bars than any nation on Earth. Forget Russia, China, North Korea, and Iran; we've got them all beat, when it comes to keeping people in cages. Do we really need to exacerbate this problem by locking up people for pot? 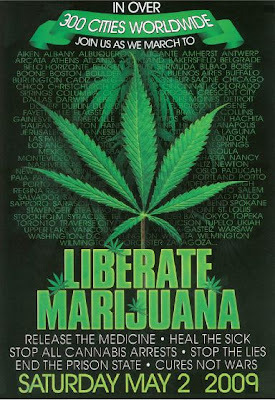 Let's leave aside for a moment the genuine and valid questions many of us have about the Constitutionality of a law which outlaws a green plant and monopolizes that natural resource (cannabis) for the federal government's production -- which the current law assuredly does. 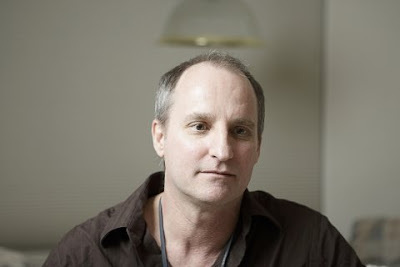 And to find our way to a productive discussion, we'll leave behind the extreme frustration many of us feel that the important issue of marijuana law seemingly ranks in priority somewhere below, say, a photo-op with Queen Elizabeth. Let's cut to the chase: the financial aspect of prohibition vs. regulation. Legalization, regulation and taxation of the cannabis industry would result in a huge new source of revenue for federal, state and local governments. A substantial new revenue stream for government can only assist as we find ways to address the financial crisis which faces our nation. This revenue stream could be established without substantially increasing the rate of marijuana use in the United States. In fact, if we look at the data from the Netherlands, there is reason to believe that legalization would result in reduced marijuana use, especially among young people. Marijuana prohibition currently costs American taxpayers almost $42 billion a year. Compare this negative cash flow to the projected tax benefits of legalization -- between $2.4 and $6.2 billion annually -- and it becomes obvious why Milton Friedman and more than 500 other respected economists publicly support the legalization of marijuana. In discussing government marijuana policy with fellow activists, we've wondered if the federal government can supply even one credible argument against legalization and regulation. And we've been unanimous in agreeing that we haven't seen one yet. What, exactly, are the benefits of marijuana remaining illegal? We'd really like to know. An excellent first step towards ameliorating the disaster that is federal marijuana policy (and has been for decades) would be to reschedule pot. Marijuana's current DEA classification as a "Schedule I" drug (right up there with heroin and PCP) means that, according to the federal government, pot has "a high potential for abuse and no accepted medical use." Almost unbelievably, even cocaine is deemed less dangerous than marijuana, receiving a Schedule II ranking. 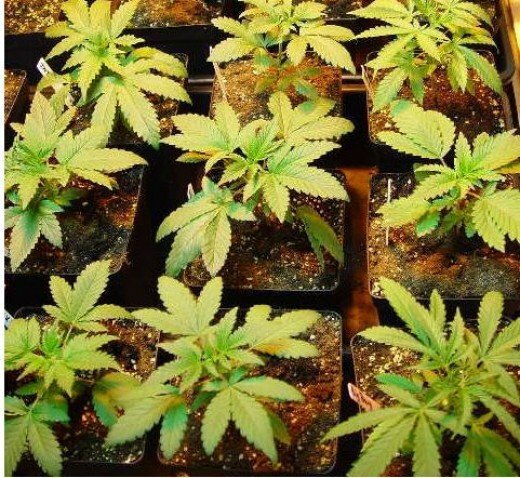 That pot has no medical value would certainly come as news to the thousands of doctors and scientists who've shown marijuana to be an effective medicine for many conditions, and to the hundreds of thousands of medical marijuana patients. Which is to say, marijuana is scheduled incorrectly to such an extent that it would be comical if the real-world effects weren't so tragic. It's important not to lose sight of the fact that ill people are needlessly suffering because of federal marijuana policies. Policies like these are impossible to rationalize or justify. Marijuana's unjustifiable Schedule I status has resulted in years of the DEA's misguided policy of raiding medical marijuana patients and providers, even in states that have legalized pot's medical use -- because the federal government officially doesn't recognize any legitimate uses. That's rather schizophrenic, since the federal government has itself for 30 years been supplying a handful of patients with government-produced medical marijuana. Hypocrisy much? We applaud the positive moves the Obama administration has already made in regard to drug policy. We are encouraged that Mr. Obama supported pot decriminalization during his 2004 Senate campaign. Especially laudable is the stated new policy of the DEA, as confirmed by Atty. Gen. Holder, that federal resources won't be used to raid medical marijuana patients and providers in states where medical pot is legal. But while that's a big step in the right direction, it ultimately won't be enough, as it doesn't address the issue of recreational use. More than 20 million Americans use marijuana regularly, and, according to Time magazine, 42 percent of the population has tried it at least once. According to recent polls, marijuana legalization now enjoys majority support on the West Coast. Nationwide, the number is greater than 40 percent in three independent polls, and steadily creeping upward. With a national majority soon to favor legalization -- sometime within the next 10-12 years, according to experts -- there is a once-in-a-lifetime opportunity to lead on this issue. We believe it deserves a thoughtful response. Mr. President, it's time to talk about marijuana.